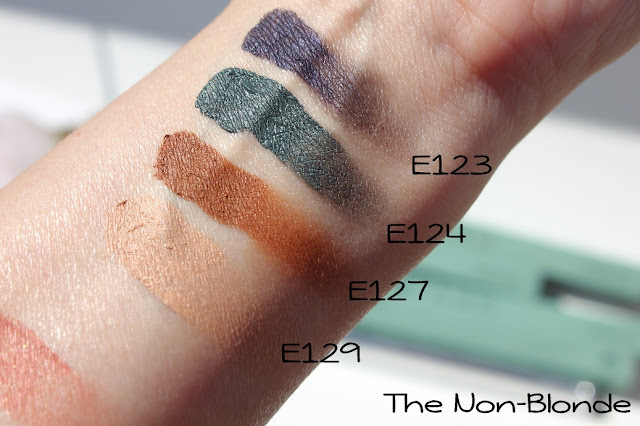 The new Ellis Faas Creamy Eyes colors are even more beautiful than I expected. I was sent four of them- two bold shades and two neutrals, and I'm delighted that I took the time over the years to learn how to work with Ellis Faas cream shadows- annoying squirty applicator and all, because there's nothing that looks and performs quite like them. E123 is a dark and deep violet. It appears to have some shimmer in it, but I don't see any particles when I blend the eye shadow on my lid. 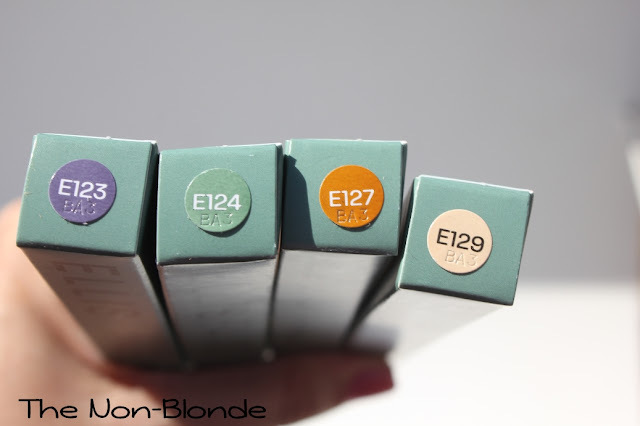 E124 is a stunning green teal(ish) peacock color. 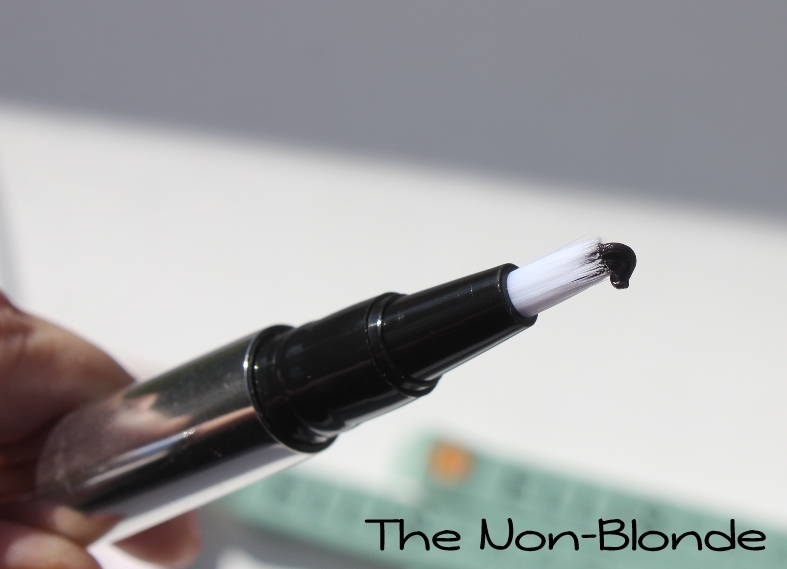 It has a serious wow effect and will make a magnificent smoky eye (remember this one on Emmy Rossum?). E127 is a very warm medium brown (Ellis Faas called it" Ginger Freckle"). It has a sunset effect and I've used it as a lid and crease color by itself as part of a light bronzed look (with a black dress and tiger's eye jewelry). E129 is a basic goes-with-everything light peach. 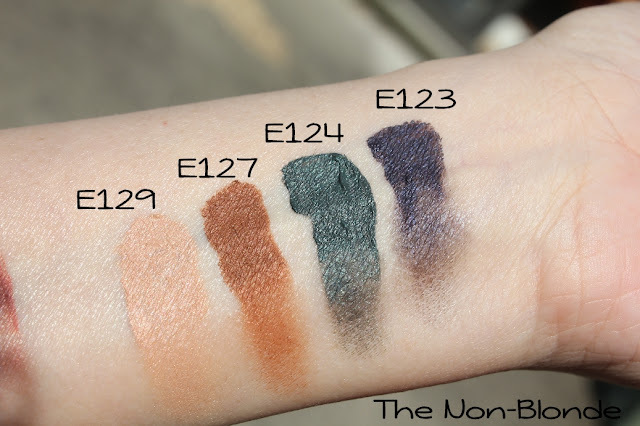 It blends with other cream shadows, works as a base for whatever you want to put on top and like all of the above and Ellis Faas eye shadows in general-- it stays on forever and ever (and ever). Bottom Line: I can't get enough. 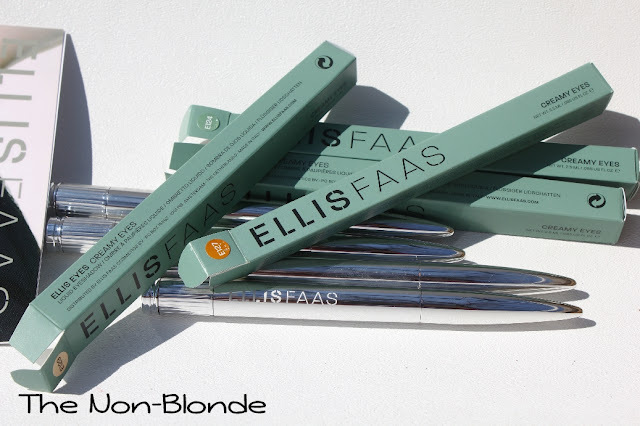 Ellis Faas Creamy Eyes Pens($36 each) are available from ellisfaas.com. The products for this review were sent to me free of charge.